Please join us this year for our NAMI Walks in Los Angeles at the Grand Park to help spread mental health awareness and to fight stigma! Last year more than 3,000 people participated in NAMI Walks and NAMI Walks LA County raised more than $380,000, which will help fund all of the FREE services that NAMI affiliates offer their communities! Participant Information- There is no registration fee for the Walk. All participants are encouraged to collect donations from family members, friends, co-workers and business associates. All walkers raising $100 or more receive a NAMIWalks event t-shirt. Create Walk Teams and Participation- Companies, organizations and families are encouraged to organize teams of walkers made up of employees, organization members, relatives and friends. To register as a participant or for a team, please visit www.namiwalks.org/losangelescounty. 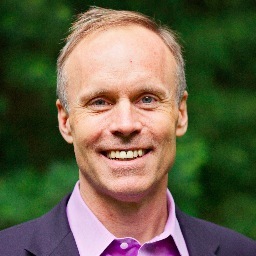 On January 27, 2014, Rob Lachenauer published an article in the Harvard Business Review titled “Why I Hired an Executive with a Mental Illness.” In it, he speaks of his experience, his first encounter with a potential employee that disclosed a mental illness, his initial reaction (essentially a mixture of surprise, confusions and admiration), and his observations regarding corporate America in general on the issue. He also describes the very different and accepting approach to greater or lesser mental health in successful family businesses. Rob Lachenauer’s experiences and perspective contain a powerful message of understanding, acceptance and resistance against the ignorance and stigma that leads to the exclusion of talented persons with mental health issues from positions in which they could shine. At present, Mr. Lachenauer is the CEO and co-founder of Banyan Family Busness Advisors, and he is co-author (with Goearge Stalk) of Hardball: Are You Playing to Play or Playing to Win? A complete copy of his Harvard Business Review article can be found by clicking HERE, and is worth reading in its entirety. That schizophrenia is a brain illness. Lieberman documented this knowledge with brain images showing changes in the brains of people with schizophrenia. He also explained that the illness, which “usually emerges in late adolescence and early adulthood, affecting perception and judgment,” may cause a person to hear voices, among other symptoms. There are effective treatments for the hallucinations that individuals with schizophrenia experience, but not all of those individuals have access to such treatments. The vast majority of individuals with schizophrenia do not commit violence. They are the ones who suffer the most from their illness. And the tragic fact is that many people with serious mental illness are not receiving treatment in the community and end up in jails and prisons. Dr. Fuller is also the author of Surviving Schizophrenia: A Manual for Families, Consumers and Providers (Harper Perennial). 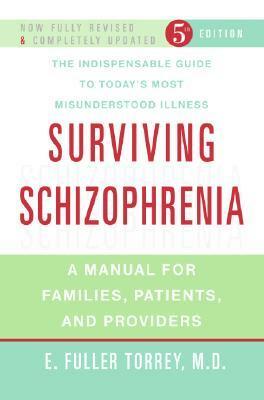 Since its first publication in 1983, Surviving Schizophrenia has become the standard reference book on the disease and has helped thousands of patients, their families and mental health professionals. In clear language, this much–praised and important book describes the nature, causes, symptoms, treatment and course of schizophrenia and also explores living with it from both the patient and the family’s point of view. The present edition is the Fifth Edition. It is completely updated and includes the latest research findings on what causes schizophrenia, information about the newest drugs for treatment, and answers to the questions most often asked by families, consumers and providers.